A – Pre-mix concrete dries up because a building contractor failed to quickly replace the pulleys for the construction system on a high rise building. B – Milk goes bad because a transporter failed to attend to a minor mechanical problem for a milk tanker heading to the main milk collection center. C – You miss a sales presentation to the Board of Directors of a key prospective client because the office ran out of paper to print the sales proposal. D – There’s a loss of life of a worker that was in an accident at the factory and the business did not have ready cash to seek medical attention. E – Or even, a business owner slowly loses a colossal sum of money to a staff over a period exceeding 2 years just because the business did not have clear mechanisms to manage small cash payments. Businesses need to manage their cash properly if they must avoid ugly times in their businesses. Given our cash economy of Uganda, business operations of SMEs usually demand several small payments to support business operations and also cater for emergencies. There is then a need to maintain a specific well-kept fund to meet these small cash payments which is called petty cash. Therefore petty cash is usually essential in any business, big or small. The key to managing it successfully is to make sure that, whatever system you have in place, it works for you and is not abused. It is from this, that we take an interest in petty cash and we have decided to share with you a complete guide to petty cash management for small and medium sized businesses today. A watchful eye over petty cash is not only very important for the smooth running of operations but also to check malpractice leading to theft. Theft often starts with an employee “borrowing” a few shillings to buy lunch, with the intention of paying it back. But if the employee sees that there’s no system for tracking the money that flows in and out of petty cash, they might think, “Why bother paying it back?” The employee might then see it as an open invitation to continue taking a few shillings here and there or, worse yet, look for other ways to embezzle more money from the business. 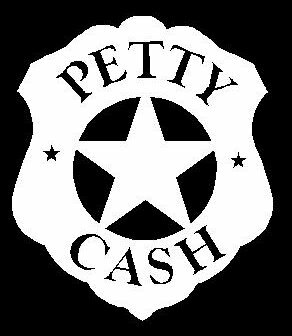 So, what is Petty Cash? This is a small fund of cash kept on hand for purchases or reimbursements too small to be worth submitting to the more rigorous purchase and reimbursement procedures of a company or institution. This is often a small amount of discretionary funds in the form of cash used for expenditures where it is not sensible to make any disbursement by cheque, because of the inconvenience and costs of writing, signing, and then cashing the cheque. 1. Think through the process and have all the information documented. This shall be called the Petty Cash policy. Most small businesses keep an informal stash of petty cash on hand for employees to use for small, incidental expenses, such as courier expenses, office supplies, groceries, and staff lunches. But just because petty cash withdrawals are relatively small doesn’t mean you can ignore them. In fact, the informal nature of petty cash makes it a tempting target for theft by less-than-honest staff. That’s why it’s important to establish a formal accounting system to track it. The policy shall include things like; the maximum cash limits, the maximum amount for any single payment, the person to manage the petty cash, the person to reconcile the account, items that cannot be paid off petty cash, when to replenish the petty cash and dealing with theft or suspected theft. 2. Set a maximum amount for Petty Cash Fund. It’s usually wise to keep as little petty cash on hand as possible. As a business owner or manager, you need a balance between too little (in which case you must replenish it often) and too much (in which case you have the problem of the money disappearing). This amount will differ depending on the size of your company, number of employees, number and volume of cash sales, and how you use petty cash. A good rule-of-thumb might be that you don’t want to replenish any more than twice a month. An analysis of the past payouts over a month or two will give you a good idea of how much needs to be in the fund. Also create a list of specific items that petty cash funds should be used for and distribute this to all employees so they have a better idea of when they should and shouldn’t use petty cash. 3. Who has access and responsibility for petty cash? The fewer employees who have access the better, but you should have at least two people. The person who makes the actual payments and inputs the transactions into your bookkeeping program (Petty Cash Custodian) should not be the person who replenishes petty cash (Petty Cash Approver). The custodian is responsible for managing the departmental petty cash fund and is the only person in the department who may disburse cash. The approver is responsible for verifying the appropriateness of expenditures and approving the petty cash fund reconciliation. The approver shall not have the authority to disburse cash. If the payments under review by the approver include disbursements to the approver, an alternate approver must be designated to review and approve the payment. The alternate reviewer shall not have the authority to disburse cash. 4. How do we keep the cash? Petty cash funds are must be non-transferable and must remain in the department or unit in which they originated. The funds must always be locked in a secure location such as a lock box or safe. Cash must not be stored in desk drawers or filing cabinets since they are easily accessed. Petty cash funds must not be kept with other types of company money or personal funds. 5. What happens when cash goes missing? It is often difficult to prove theft, so tread carefully here. If you suspect an employee of stealing from petty cash, restrict access to the fund and investigate. When a loss or theft of funds is confirmed, the loss must be refunded immediately. If the loss occurs from negligence, it will be the responsibility of the custodian to bring the account back to its authorised balance. The custodian and approver may be held personally responsible for any loss of petty cash as a result of their fraudulent or negligent actions. All thefts should be immediately reported to top management and appropriate action be taken. It is your responsibility as a business owner to set up policies for use of petty cash, to monitor petty cash transactions, and to make sure that employees are using petty cash responsibly. 6. What’s the procedure for pay-outs? A business needs to develop a form for cash requests. The request form should include; the name of the person making the request, the purpose, date, the supplier’s name where appropriate and an authorised person to approve the request. Key supporting documents should also be included such as original receipts. Copies of receipts should never be allowed. When granting an advance, the custodian must have acknowledgement of the date and amount of the advance in writing. Receipts submitted for reimbursement must have a description of the item(s) purchased and be signed by the person seeking reimbursement and the custodian. The custodian must ensure that every transaction is recorded and must include: Date of the transaction, Amount of the transaction and General description of the transaction. It is important that a strict mechanism be put in place when replenishing the petty cash fund. Always prepare to replenish the petty cash fund when you cannot get through the day with the petty cash you have on hand. The petty cash fund may be replenished by submitting a payment voucher to an authorised person where an original Petty Cash Fund Replenishment Voucher bearing key information such as date, amount is dully filled and signed off by the custodian and the approver. At this moment, all supporting documents from the used-up petty cash should be handed to a higher authority and kept away from the custodian. Petty cash is a small discretionary cash fund used for cash expenditures where it is not sensible to make any disbursement by cheque. 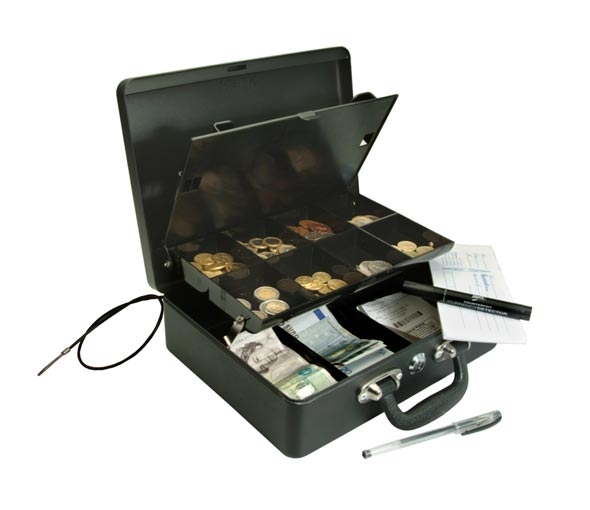 Petty cash is usually essential in any business, big or small. The key to managing it successfully is to make sure that, whatever system you have in place, it works for you and is not abused. The exact amount depends on how much a company spends on deliveries, office supplies or other small purchases in a given week or month. Keep petty cash locked in the kind of metal strong box. Avoid temptation by keeping the petty cash box locked at all times. To further minimise risk, put two people in charge: one to mind the box and keep track of money going out and expense receipts coming in and the other to cross-check transactions and replenish funds when they get low. Reconcile petty cash funds on a regular basis – weekly or monthly depending on how often you use it. The fact that they’re looking keeps an honest person honest. Keep simple records; a simple tally sheet on paper for non-computer users or a simple Microsoft Excel spreadsheet to track cash in and cash out. If you find your business paying small amounts out of petty cash week after week to the same places for the same items – deliveries, printing, supplies, etc. It probably means you’re overpaying for those services and should set those suppliers up as regular suppliers to take advantage of flexible payments or any kind of volume discounts they offer. Do Businesses Still Keep Petty Cash? Managing Petty Cash is becoming difficult! hOur site offers a wide variety of non prescription drugs. Visit our health portal in case you want to strengthen your health with a help generic supplements. Our site offers a wide variety of non prescription drugs. Visit our health portal in case you want to feel better with a help generic supplements. Our company offers a wide variety of general health products. Take a look at our health contributing website in case you want to strengthen your health. Our company offers a wide variety of weight loss products. Look at our health contributing website in case you want to improve your health. Our company provides a wide variety of non prescription drugs. Take a look at our health portal in case you want to feel better with a help general health products. Our company provides generic supplements. Visit our health contributing portal in case you want to improve your health. Our company provides a wide variety of non prescription products. Visit our health site in case you want to to improve your health with a help of generic supplements. Our company offers a wide variety of non prescription products. Take a look at our health contributing website in case you want to strengthen your health. Our company provides supreme quality health and related products. Take a look at our health contributing site in case you want to feel better. Our company offers supreme quality non prescription products. Take a look at our health contributing site in case you want to look better. Our company offers a wide variety of non prescription products. Take a look at our health website in case you want to look better with a help of generic supplements.